It’s been three years since Pantone, self-declared arbiter of visible light, has declared a new color. 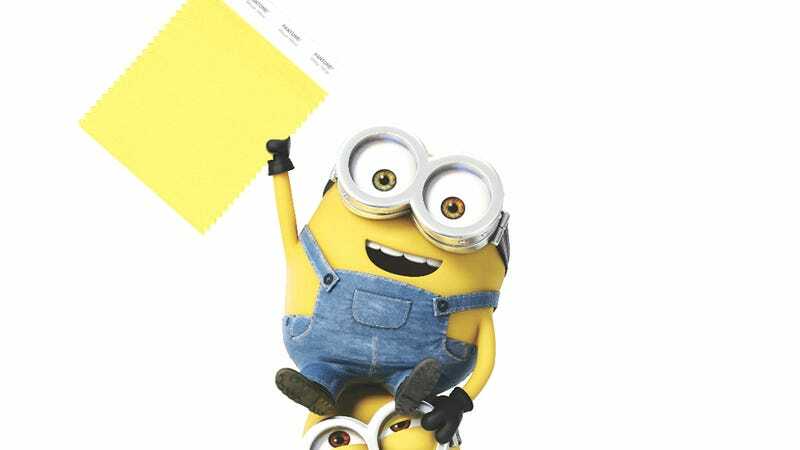 But after 36 months of hard toil, the research team has emerged from the lab with the latest addition: Pantone Minion Yellow. Pantone is a household name among designers and artists thanks to its Color Matching System, a way of organising basically any conceivable color, assigning a number, and specifying how to make it by mixing 14 base pigments. It’s used in manufacturing and publishing around the world as a way of standardising colors. And now, it can be used to reproduce the joy and happiness of Despicable Me’s minions through the medium of color.